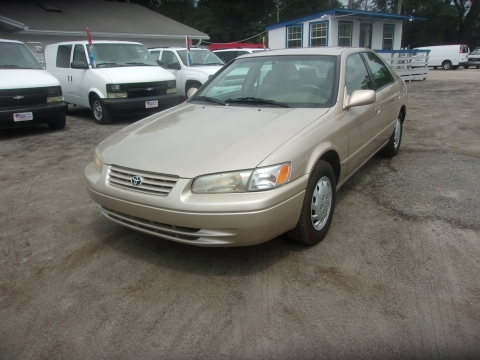 Description: 1999 Toyota Camry LE 4D Sedan. 44,459k miles, 2.2L 4Cyl, Automatic, Dual Air Bags, Clock, Tilt, Cruis, Loaded (no power seat), AM/FM?CD?Cass Stereo, Tan with Beige Interior. Any questions please call John at Arlington Auto Sales 904-724-0444 and visit our website at www.arlingtonautosales.com to view the rest of our inventory. Price does not include $199 dealer fee or appropriate sales tax for your area. TAG is COD. VIN#4T1BG22K3XU878910, STK#878910.